Fodi has had a successful bike project for the last couple of years and we have been lucky to have dedicated volunteers who have transformed people’s lives with the repairing and giving out of bikes to asylum seekers. With only £36 per week to live on a bicycle is a life line for those who need to get around the city to appointments, college and generally improve their sense of well being. We are very grateful for a recent grant from the Gentoo Aspire fund which has allowed us to buy tools and mend the bikes donated to us. 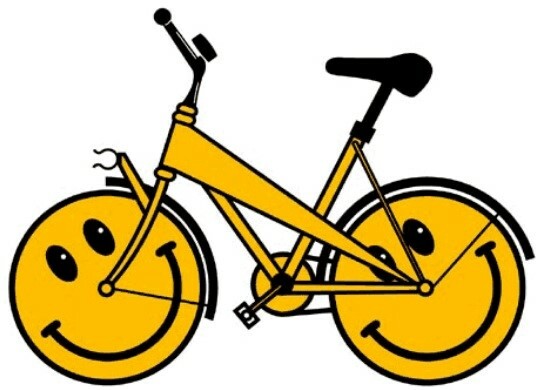 We always welcome any donated bikes and we can usually pick up in the area just email or call from our contact page. We are very fortunate to have a new bike volunteer and he has written a few words on how he has become involved I this project. After leaving work due to ill health and living in a small town, I found one of the most challenging aspects of daily life was navigating and paying for public transport. Local shops were more expensive than supermarkets such as Tesco’s which were located outside of town. Not having access to a car or the ability to pay for endless bus journeys, increased every day expenses and made travel to see friends, family and leisure facilities outside of my means. These factors led to social isolation and a feeling of hopelessness. After speaking to users of FODI and volunteers I found that many of the same issues I experienced were being faced by asylum seekers and refugees. In fact asylum seekers only receive £36 per week for everything. After seeing a position for bike mechanic being advertised, I found a practical way to address these issues and apply my skills in a practical setting. As public transport is prohibitively expensive for many asylum seekers and refugees, the most accessible means of transport is by bike. With a goal of losing weight and getting more healthy, many bikes are bought or given as gifts and unfortunately after the enthusiasm and resolve dwindles, they lay rusting in garden sheds and back gardens with potential of being put in a skip. 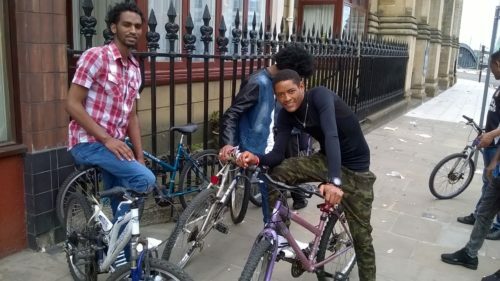 Without the need of expensive training, licenses and running costs donated bikes can be repaired and put to good use, reducing living costs and giving asylum seekers and refugees access to lower cost services and leisure activities. This can reduce the stress and even give enjoyment to people who are often living precarious lives. Volunteering in FODI has given me the chance to meet new people, make new friends and enjoy doing work which helps people to live a fuller live.